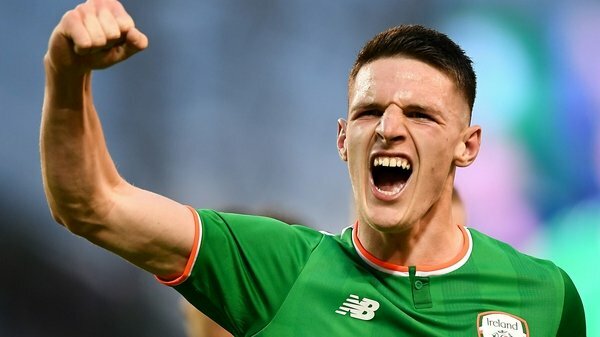 Declan Rice has issued an apology after an old social media post re-surfaced in which he used a phrase associated with the IRA. 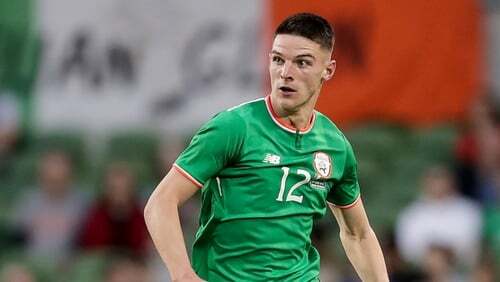 The former Republic of Ireland international switched his allegiance to England last month and was this week called up to Gareth Southgate's squad for the upcoming Euro 2020 qualifiers against Czech Republic and Montenegro. However, the highlighting of four-year old social media posts has forced the West Ham defender into an apology this afternoon. In 2015, Rice, then an Ireland U17 international, posted 'Up the 'Ra' in response to a teammate, expressing the hope that Ireland would meet England at the age grade. It was not the only time Rice used the phrase 'Up The Ra' on the thread. Rice issued an apology via his Instagram account this afternoon, describing the comment as "poorly expressed" and insisting that was not intended as a political statement but rather an attempt to show support to teammates. "I am aware that a poorly-expressed comment I made when I was a junior player has been circulated on social media," he wrote on a statement posted on his Instagram account. England manager Gareth Southgate told a press conference this afternoon that the four-year old comments weren't reflective of what the player believes. "He's apologised. It's not representative of what he believes and what he feels. Outside of that it was when he was 15 or 16 and engaged in conversation with friends. When asked how England fans might react to the publicising of Rice's comments, Southgate reiterated the FA's stance against anti-IRA chants from their supporters. "Our messaging doesn't change. Declan's statement is consistent with that. We are against any of our supporters taking up that stance. I don't think anything changes form an England or FA point of view. Rice spoke of his delight this week at his England call-up in an interview on the England YouTube channel. "You can't describe it, to be honest, just a straight smile," the 20-year-old West Ham player told the England YouTube channel. "We was watching the TV and obviously it came up that I was in the squad, and that feeling, bursting with pride. "You can't believe, it's everything you've wanted to work for since a kid and it's come true so the call-up is probably one of the best feelings you are going to feel."